To ensure top sound quality and tolerance to high heat, the Creative has opted to exclusively use the German-made WIMA capacitors. As a result, the ultra low 1Ω output impedance also allows it to capably handle even sensitive monitors. As expected, the card fully supports Creative’s entire suite of audio processing algorithms including virtual 7.1 surround sound. Physically, the card support stereo and dedicated 5.1 surround sound. As a PCIe card, it also requires a PCIe 1x slot. Nothing screams 2017 like RGB lights, and the Sound Blaster X AE-5 aims to be loud. In addition to the RGB lights installed on the card itself, an RGB lighting controller has been built in to allow for up to four LED strips to be connected. The regular version of the card comes with a single 10cm LED strip, but the Pure Edition (the version with a white casing) will come with four strips of LED strips. 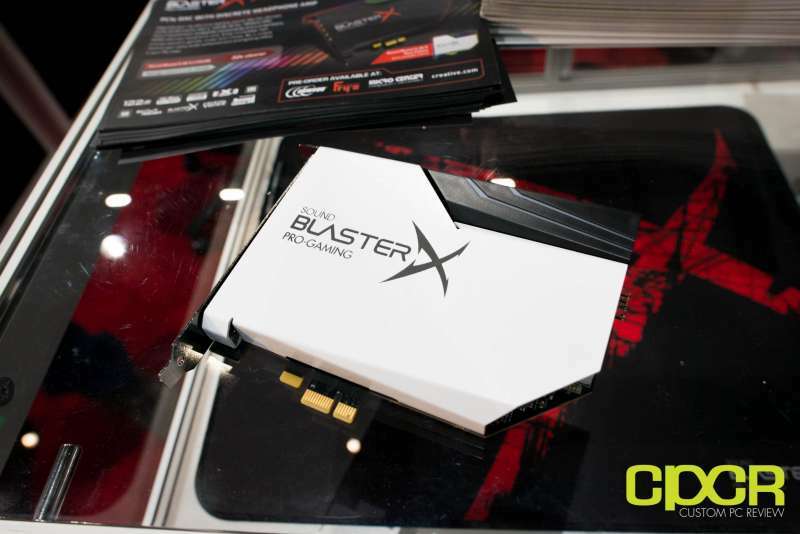 Both the regular and Pure Edition of the Creative Sound BlasterX AE-5 will be available for purchase in July. MSRP is expected to be $149.99 for the regular edition and $179 for the Pure Edition.